If you’ve never had a water pipe burst in your home, consider yourself lucky. If you have, we feel for you here at HNST Mold Inspections, and we’d like to help by giving you some information on what to do and why after a water pipe bursts. Of course, there are many reasons a pipe may burst, perhaps its old and needs replacing, or the pressure got too high inside the line. Either way, there is a problem and you need to fix it. 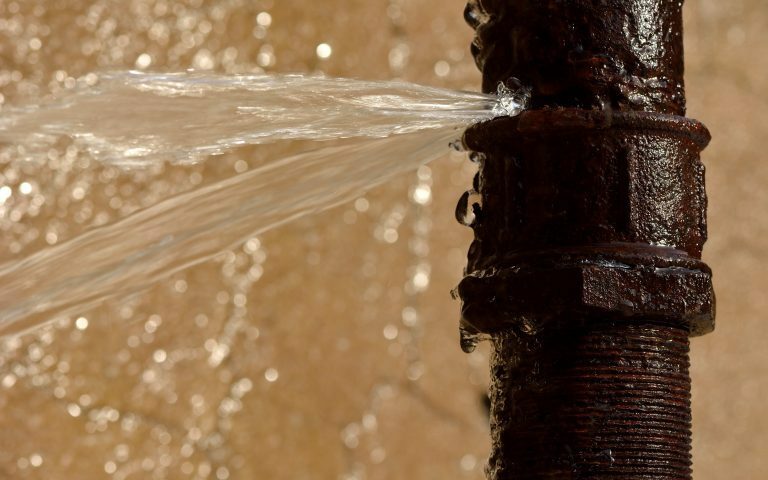 Read on for our tips on dealing with a burst pipe & water damage. The most important thing to do immediately is to locate the water supply and turn it off to stop the flow of water. * Pipes located under the home in a crawlspace may be easy to contain, but a burst pipe in the home can be more complex involving large areas, multiple floors and many different types of materials. * If you are a homeowner and do not know where the water shut off is, make it a point to find out BEFORE an issue arises. This way, you’ll be prepared if a pipe does burst and you can stop the flow of water quickly. As we always stress, time is of the essence when dealing with a leak in the home. In as little as 24hours, mold can start to develop due to the moist environment. Depending on the type of materials involved, you may have more work on your hands. Carpet and other organic materials may need to be removed if involved in order to remove the risk of mold. A large leak including multiple rooms, levels or a leak that has been going for more than a few hours may require a professional service to mitigate and dry out the home. If you have had a pipe burst & water damage in your home and are starting to notice mold developing in affected areas, don’t think twice, contact a mold inspector like HNST Mold Inspections quickly to check and resolve any potential issues. We proudly service New York and New Jersey.